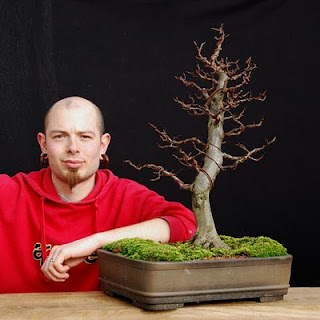 Ok, so first of all here's me and my Carpinus betulus (European Hornbeam) bonsai, hopefully it will be placed in a more suitable pot in about a months time. The image is far from complete and will take another five years before it starts really looking how I envision it. 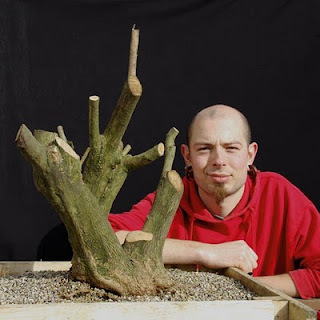 That said, a lot can be achieved in a relatively short period of time with the correct techniques: this is the same tree two years ago. With that in mind here's my newly collected Ligustrum sp. (an as yet undetermined species of Privet). Privet is very hardy and there were a good mass of fibrous roots still attached after 45 minutes of excavation so I have high hopes for its survival. 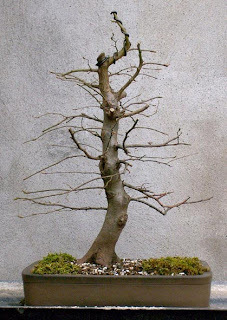 If the tree thrives, and with the right techniques, this will start looking great in 10-15 years or so. Now I just need to be patient!